The Alberta legislature's most offensive politician, Rachel Notley, has announced that if her disgusting party became government she would waste $20,000 per bed per year on an ill conceived plan to increase the size and scope of a government that is way beyond any size and scope it should be having. The NDP plan would see 500 new beds open in each of those years to help get the approximately 500 Albertans taking up acute care beds out of hospital while they wait for long-term care. “For the time being, given the fiscal challenges we find ourselves being faced with, this is what we think is a reasonable number to start with,” Notley said Tuesday during the announcement at the home of Bernie Travis, an Edmonton woman whose 64-year-old husband Clarence has been waiting since August in the University Hospital for a long-term care bed. Clarence Travis has dementia. Dementia is not treatable, leaving the only option available pallative care. Unfortunately, in the messed up economics which is a government-run healthcare system, there is no incentive for Bernie Travis or the leftists who were hanging around her during this announcement to stop wasting money by having Clarence taking up this bed. 2) healthcare is "free" so the medical equivalent of push-button starts gets graduated into "absolute fundamental right"
The structural problems with government healthcare isn't, of course, something Rachel Notley and the NDP even have a rudimentary knowledge of. In their world, your body belongs to Rachel Notley and she'll pander for your votes until she's pink in the face putting a warm fuzzy on the totalitarian way she would operate a healthcare system. She puts you in a nice bed after a lifetime of treating you like an ATM machine, and expects you to be happy for it. Unfortunately, the financial implications of the Notley scheme is something they possibly have even less knowledge of. I'm sure we'll be covering more of how Notley plans to raise taxes and chase jobs and wealth out of the province, but for now let's instead look at the demand side of her equation. According to the "fully costed" NDP plan, Premier Notley (*spit*) would spend $40 million annually on this plan to build 500 new beds annually, putting an annual per-bed cost of $80,000. Compare this to the October announcement that the Prentice PCs would be building 464 continuing care beds over the next year. These beds are cheaper than the beds at the Rachel Notley Home for Mentally Deficient NDP Voters, only $33.4 million in "total costs" ($71,982/bed/year). As usually happens with these announcements, though, the apples-to-oranges comparisons make any direct link almost futile. Jim Prentice was actually in government and had to actually spend the money, so his figures had to be grounded in reality. They get "costed" every March. Rachel Notley just needs the spreadsheet to balance out in theory, while reality gets aborted in a private Morgentaller clinic. Prentice's plan includes the annual cost to administer these beds. The Notley plan seems to only deal with the construction of the beds themselves (Prentice only was fast-tracking 300 beds already under construction, with the balance coming from existing facility space). In other words, it looks like the total cost for every Notley bed is double what she claims it is (we can charitably go with $80,000 + $71,982 = $151,982 = 89% cost overrun, which is about right for the NDP). 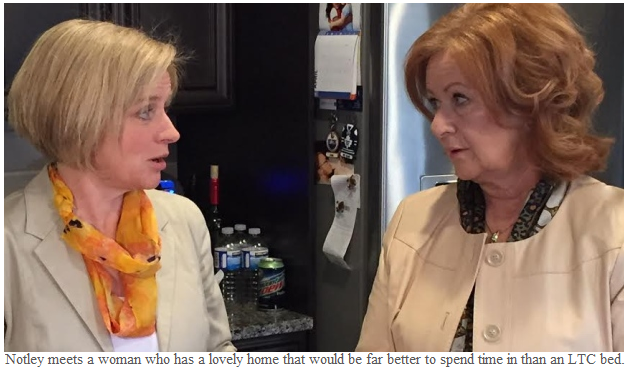 One presumes therefore that the long-term care beds Notley is proposing -- unless she's being deceptive about the level of service the beds are providing -- will cost more than $71,982 a year to run. Significantly more, since only 67/464 Prentice beds were "LTC beds" and Notley is claiming 500 LTC beds. Prentice could be deceiving us about the costs of running his beds, I suppose, but there's no benefit in that. If he could announce more beds for the same price, he'd be doing that in October. Again, Prentice's numbers may be wrong but we have far more reason to trust his figures then we do to trust Rachel Notley's. She's a liberal and she's a liar. So I'm going to tell you she's lying. 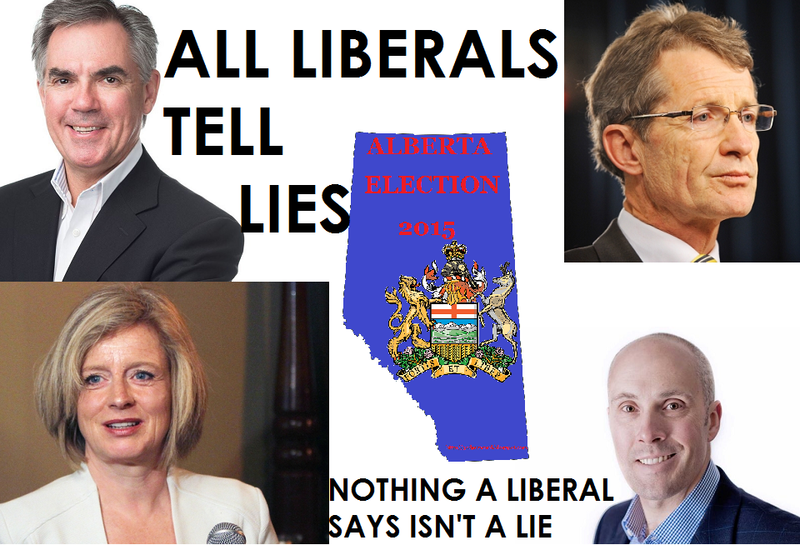 On May 5 2015, you can vote out Prentice's spend-happy government, humiliate communist Rachel Notley's lying NDP alternative and replace it with a market-oriented and sensible Wildrose alternative. Wildrose may be accused of not having solid enough numbers but you know they won't have Day 1 cost overruns of 100%.